According to Health Day News, one person in 5 has tinnitus. Tinnitus is a hearing disorder characterized by ringing or buzzing in the ears. 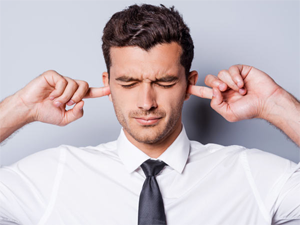 Tinnitus is associated with a wide range of brain activity and may be why it is hard to treat. Studies indicated that tinnitus triggers different brain activity than normal external sounds do. Study co-author Will Sedley, of Newcastle University in the United Kingdom states that “perhaps the most remarkable finding was that activity directly linked to tinnitus was very extensive, and spanned a large proportion of the part of the brain we measured from.” Even more interesting was that researchers played a sound that merely mimicked the tinnitus sound and found that it was localized in one small area of the brain. In short, brain function that is associated with tinnitus was present in almost the entire auditory cortex and in other parts of the brain which helps explain why it’s so difficult to treat this hearing disorder. This new understanding will most likely lead to continued research and new therapies to treat tinnitus. For more on this study, please visit Philly.com.